Web design secrets – Audience who? 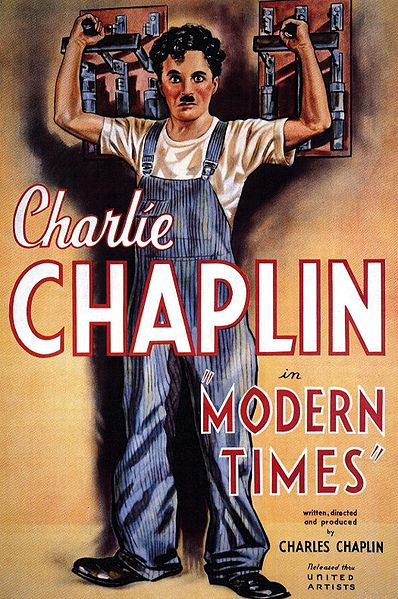 Charlie Chaplin’s last silent film, “Modern Times” (1936), hit the theaters at the peak of the great depression. Chaplin plays a hard working blue color industrial laborer in a factory where workers are oppressed, disregarded and not trusted. The most famous scene from this movie depicts a constant movement of human hands, that are required to work as an automated machine and satisfy the superintendents and manager of the factory. This automatic motion continues as Chaplin prepares his supper. Chaplin expresses profound criticism over the exploitation of human beings who serve their masters in the modern world. Luckily, in our global 21st century world, the trend of treating individuals as potential customers increases, and slowly breaks apart earlier patterns. Each individual can potentially be an opinion leader and a trend setter. In the last few years we see the increasing influence and power of internet users on public opinion. This process actually changed the rules of the game for large corporations. Today, such companies invest huge resources in a new, yet crucial field – social responsibility. Walmart’s target audience can be easily defined – women, women, women. That’s why the company’s executives invest in female empowering, and try to fulfill their customers emotional needs. In the process of building a brand and creating strategy, one of the most common questions you will encounter is whats your target market / audience. Usually, the research to identify this audience includes answering questions like “For who is it intended?” “Who is it relevant to?” “Where and how will they get it?” “What is the age range?” “Men, women or both?” The answers are milestones you have to cross before you get to the design process. We highly recommend to get to them earlier on, while still in the characterization process. It’s fascinating to see how user influence research through various technological development (like Google analytics) show the variety of today’s audiences. There are still companies who produce for a specific niche target market, in fields like security, medicine or education, but most start up companies will address huge target markets with infinite varieties, and find themselves with several target audiences at any given time. This might be confusing especially since you need to differentiate the primary target market from the secondary. For those of you who hold an idea you have not started to develop yet, a development that got stuck along the way, a design that does not supply leads, or that are right before stepping into a new enterprise – invest more time in mapping your future audience before moving forward. 1. Questions. Elementary, yet still: the more you do your research, the more you find out. The first stage is the obvious questions. Later on you might get more benefits out of creating associative questions. This system helps to create an emotional picture of your audience and his daily habits. Will the average potential customer use the product in the day, night, or without a time limit? While riding the bus or alone at home? Does he like to read a newspaper on Saturday morning? Is he vegetarian? Vegan? Prefers milk or soy milk? Will he visit the cinema or download a movie? What does he do on independence day? Christmas? Ramadan? These might all sound ridiculous and not relevant, but they enable researching irrational emotional depths. The answers might give you a glimpse into your target audience’s subconscious, that can bring valuable insights to the design and UI development stages. 2. consider the environment you target audience is a part of with great care. Not just from a social-economical aspect, but from any relevant aspect. Understanding this environment will help you to better define the target audience and the ways to approach him and gain his attention. 3. Remember you are service providers. You do not take customers for granted and you should not take your target audience for granted. Even if you have a winning product on your hands. Even if there’s no competition, even if the product is essential to our survivor on plant earth. In any given moment there is someone else that treats the same audience with more kindness, even if just by a little. The 2013 audiences hold great value to support, at least as much as to usability. 4. The best way to get to know the target audience is to actually physically locate average potential customers, meet them, talk with them, live around them and feel them and with them. These actions demand a lot of resources and effort, but inter-personal relationships are not replaceable. The deeper you go researching the character of your future target audience, the easier you make it for yourselves when you get to the design stage. The knowledge you accumulate will help the concepts and the imagination, will supply a sharp image of the audience, and allow the designer to design a precise, custom and personal digital experience for every customer. An example to such deep research can be seen on the re-branding of zap/yellow pages. If you have read the previous article – blue adults and red children – you will be able to identify using colors out of psychologically understanding the target audience – in practice. To sum things up, personal and respectful approach toward our target audience, and deep research that enables knowing him on a personal and emotional basis, are irreplaceable. They will help you to visually present your product in an exact, easy to comprehend and understandable way – to the exact person you’re aiming at. “All the world’s a stage, and all the men and women merely players” wrote Shakespeare. Today its not merely a stage, but an interactive one, where all the players influence and are influenced, watching and participating, active and activating. In a way, we’re all target audience for someone. It’s important to understand how much non-virtual value our opinions hold, as well as our perceptions and habits – especially in the internet age.